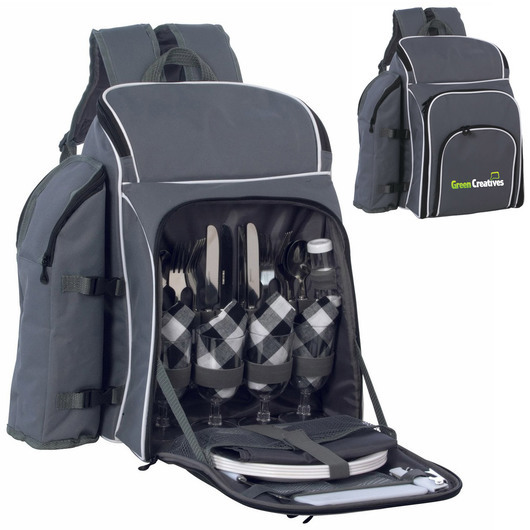 The easiest way to enjoy a lovely picnic is here! These backpacks make it simple and come decorated with your logo. 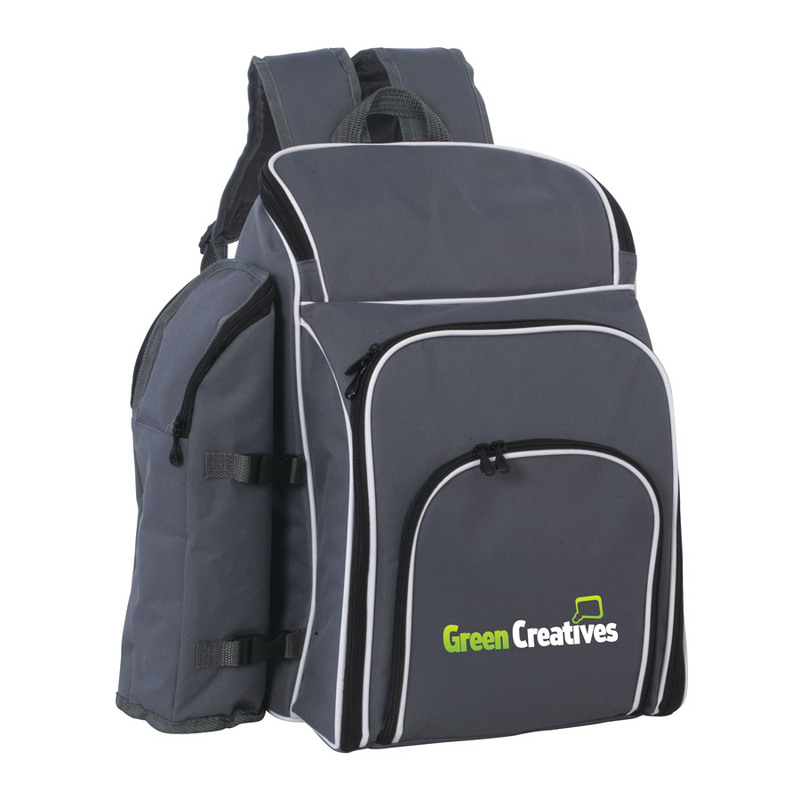 These premium picnic backpacks are an excellent gift idea for valued clients and staff. 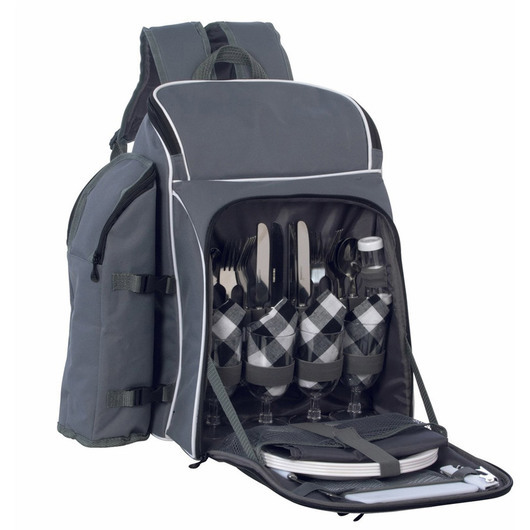 They are made from high quality 600D polyester and include a 4 person setting: 4x (Spoons, Knives, Forks, Plastic Wine Glasses), Cotton Napkins, 2 x Salt & Pepper shakers, 1x Cutting boards, 1x Cheese Knife, 1x Bottle opener. The backpacks also have a 15 Litre cooler compartment and a detachable insulated wine cooler for your convenience. Supplied in a polybag.